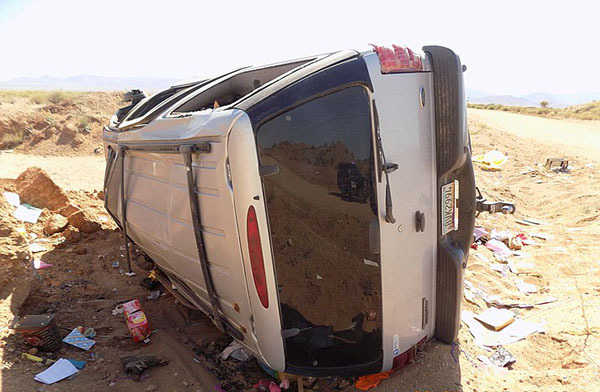 Kingman, Arizona—Daniel Norman, age 35, was killed over the weekend when the vehicle in which he was a passenger rolled over. The Ford Expedition, driven by Amanda Collins, age 34, was headed north on Pace Road near Ross Drive, just north of the airport. The vehicle began to fishtail, causing Ms. Collins to lose control. The vehicle traveled sideways for a short distance. It struck a berm on the passenger side then rolled one and a half times. Mr. Norman was ejected and died at the scene. Ms. Collins sustained a fractured spinal cord. She was first transported to Kingman Regional Medical Center before being air evac'd to a trauma center in Las Vegas. The accident investigation by the Mohave County Sheriff’s Office is ongoing. We extend our condolences to the family and friends of Mr. Norman over this tragic loss and we wish Ms. Collins a swift and full recovery.